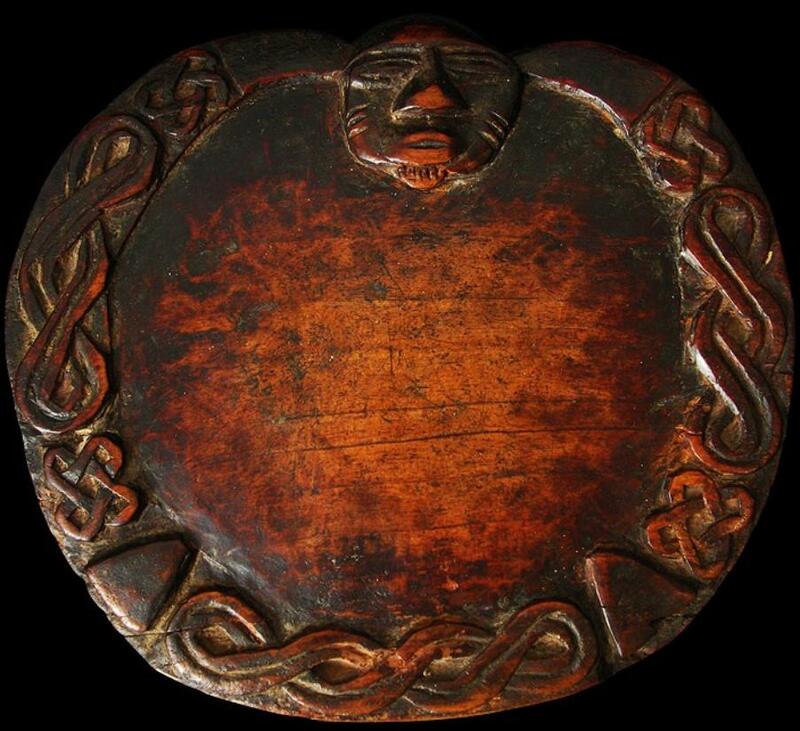 This symmetrical wooden divination board (opon ifa) is bean-shaped and has a carved border of spiralling guilloches and triangular motifs around a plain centre. The head portrait at the top of the board is Eshu, the Yoruba messenger deity who acts as a medium between the human and spirit realms, specifically to Ifa, the god of divination. Eshu delivers knowledge and guidance in times of trouble, regardless of the other deities a person may worship. Eshu’s facial features are recognisable by its widely-cut nostrils and prominent eyes. This divination board has a brown glossy patina. The centre has some minor depressions formed from the tapping of the diviners tapper stick.Ifa divination is a media to transcribe the direction of Orunmila, the spirit of wisdom and divinity of destiny and prophecy in Yoruba mythology. A highly-trained priest, called a babalawo, taps rhythmically on a board (opon ifa) with a tapper (iroke ifa) to invoke the presence of Orunmila. 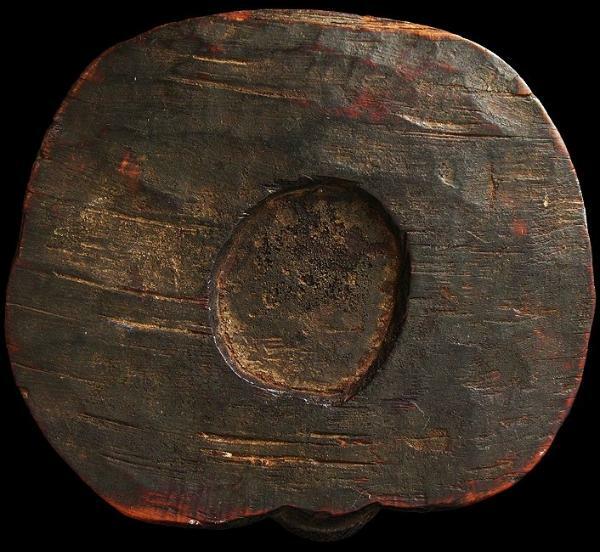 A bowl (agere ifa) is used to contain the sixteen sacred palm nuts (ikins), which must have at least three ‘eyes’. 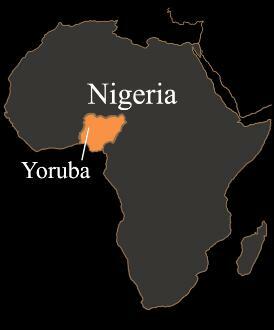 Today, the Yoruba people form one of the largest tribes in west Africa. They number around 30 million and are predominant in Nigeria where they comprise 21 per cent of the population. Most Yoruba speak the Yoruba language. Today, 60 per cent are Christians and another 30 per cent are Muslims. But many, especially in rural areas, still practise old Yoruba traditions such as those based around ifa.